Living in Brooklyn, NY I have had my fair share of great island food, since we have a huge Caribbean population here in the Boro. 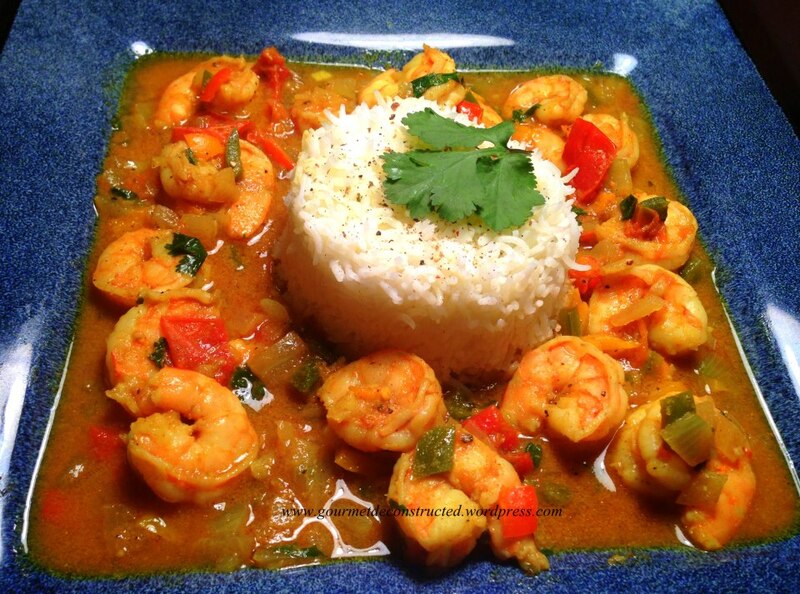 Here is my spin on Jamacian curry shrimp, enjoy! Season the shrimp with the 2 Tbsp of curry powder, black pepper and, salt then set aside. Dice green and red bell peppers(or Scotch Bonnets) and onion; mince garlic, then heat the cooking oil on high in sauce pan. Sauté peppers, onion and garlic until onion is transparent then add 1 sprig of thyme. Reduce the heat to medium-high and add the coconut milk. after about 3 minutes add salt, ketchup, hot pepper sauce and 1 Tbsp curry powder; stir well. Lower the heat and add shrimp to vegetables and saute until shrimp just begins to turn pink. Mix water and cornstarch together and add to saucepan and simmer for 1 minute, or until shrimp are firm and curry sauce has thickened. Remove from the heat and serve with rice (I prefer basmati or jasmine rice) and Garnish with cilantro. Bon Appetit! Posted on September 24, 2014, in Seafood and tagged curry shrimp, Jamacian recipes, scotch bonnet, shrimp, spicy. Bookmark the permalink. 1 Comment. This sounds awesome and I will be preparing it this weekend.